Motu Patlu Starting From Monday 7th July 2014 Every Monday to Friday at 6.00 P.M Only on Nick!.Motu Patlu and their fun-filled adventures of Furfuri Nagar. In the small town of Furfuri Nagar, live two best friends, Motu and Patlu, who are known for their fun filled antics and masti. Motu who loves to eat samosas always lands himself into trouble unknowingly, while Patlu, known for using his common sense, manages to bail him out from trouble. 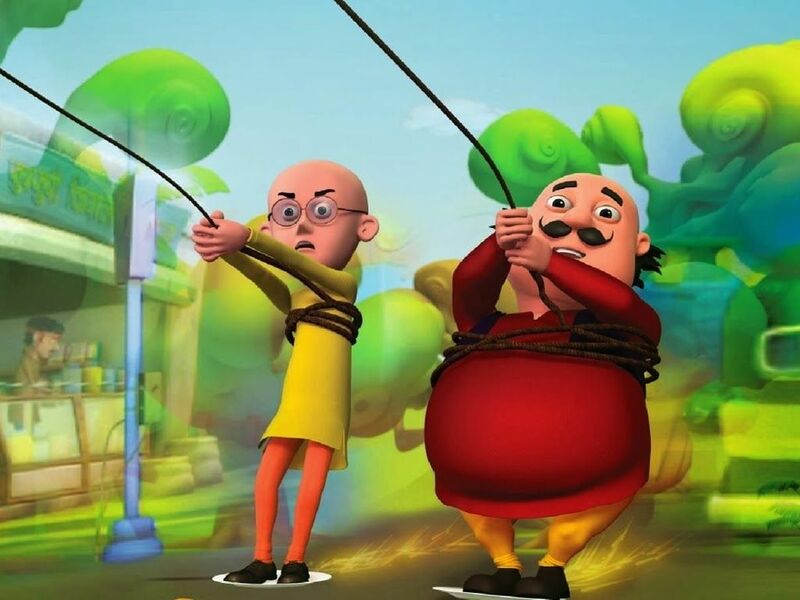 Dr. Jhatka, Ghasitaram and Chingam the police inspector make the Motu Patlu’s adventures all the more interesting with their fun filled and comic frolics! Now, watch Motu Patlu every Monday to know how Motu, Patlu and their friends in Furfuri Nagar manage to solve every mystery and save their town from trouble!